Gambling adverts from poorly regulated countries are to be banned in a move made yesterday to protect UK online gamblers from "crime and exploitation". Online gambling jurisdictions outside the EEA and Gibraltar will now have to apply to the UK , proving their licensing regimes confirm to strict criteria, before they can advertise in the UK . The plans were published by the Department for Culture, Media and Sport . remain subject to rules on money-laundering and financial probity. "Whether we like it or not, people choose to gamble online," said Culture Secretary Tessa Jowell. "The action we are taking on adverts will help protect online gamblers from crime and exploitation. It will stop companies operating from poorly regulated countries attracting new customers in the UK." The move comes despite negative publicity surrounding some British-based gambling websites, caused by America's decision to ban internet gambling. 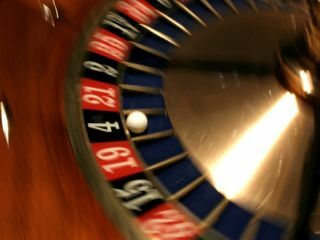 Under the Internet Gambling Prohibition Act , offshore gambling sites presenting a risk to US law are targeted as part of the crackdown. It would seem that the definition of 'poorly regulated' lies somewhat in the eye of the beholder, and the category can't be applied solely to companies based outside Europe. Back in July last year, many UK-listed online gambling companies were badly stung after the boss of Betonsports - a gaming firm - was detained in the US and charged with racketeering, the BBC reported . The online gambling industry is "a colossal criminal enterprise masquerading as legitimate business," the FBI's assistant director Mark Mershon reportedly said this month. In other news, Manchester was named today as the location for Britain's first super-casino. The huge development is expected to provide much regeneration in the area.